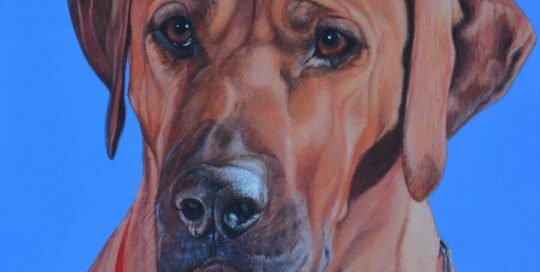 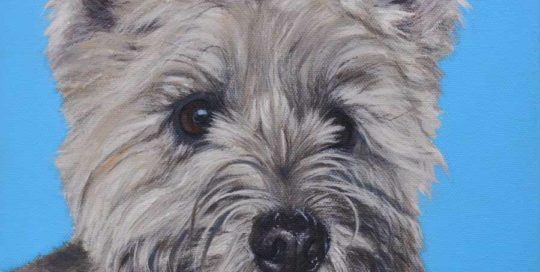 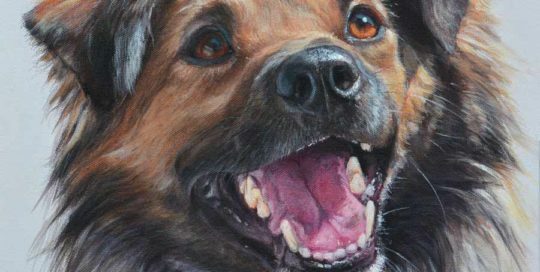 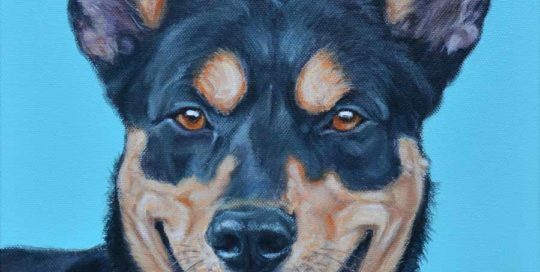 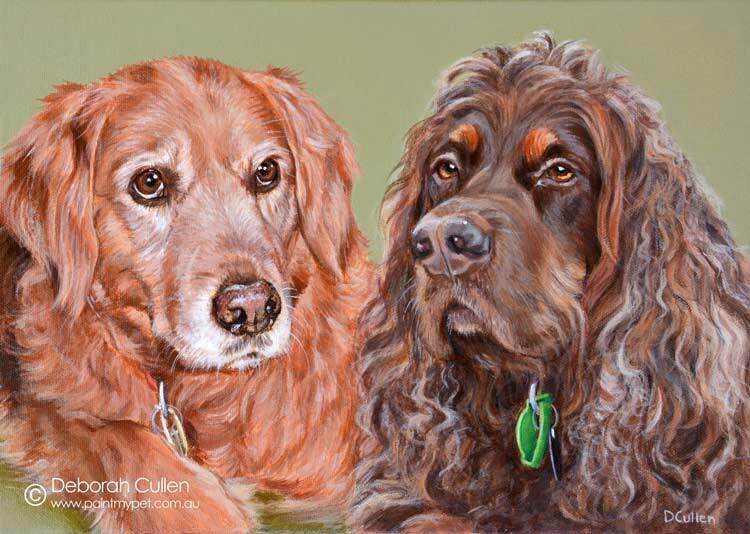 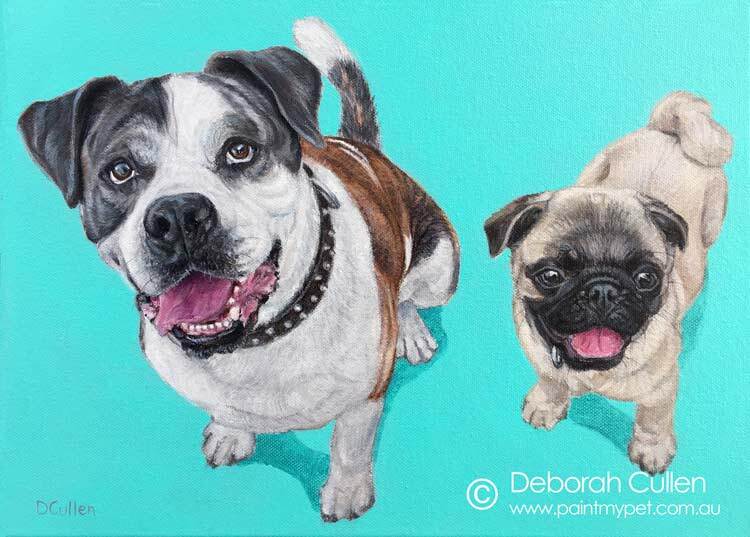 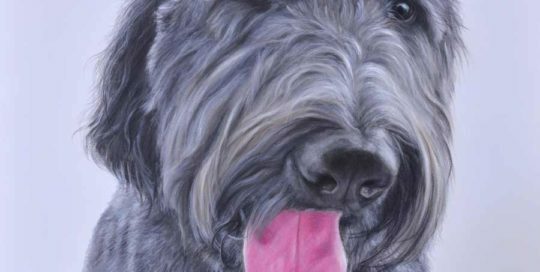 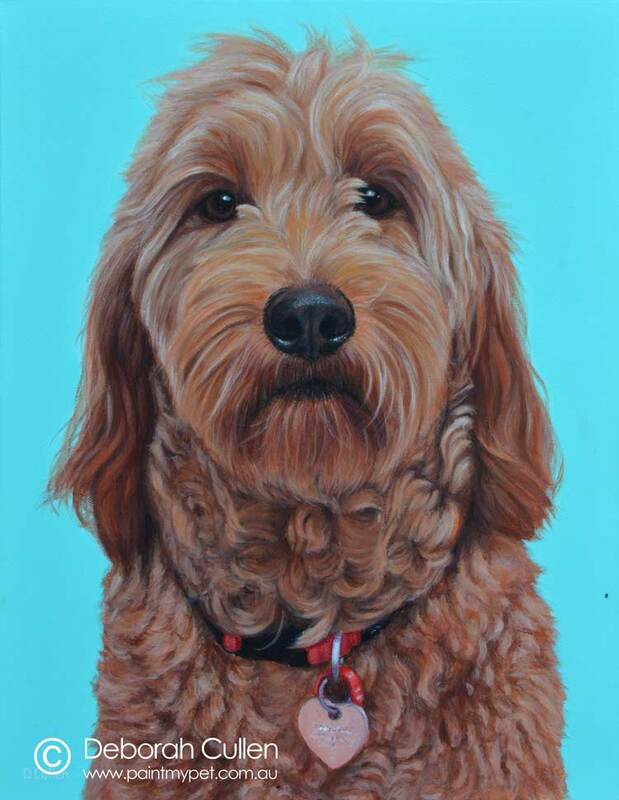 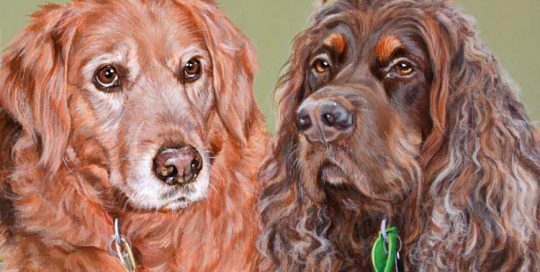 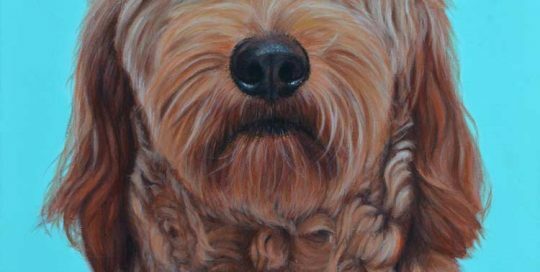 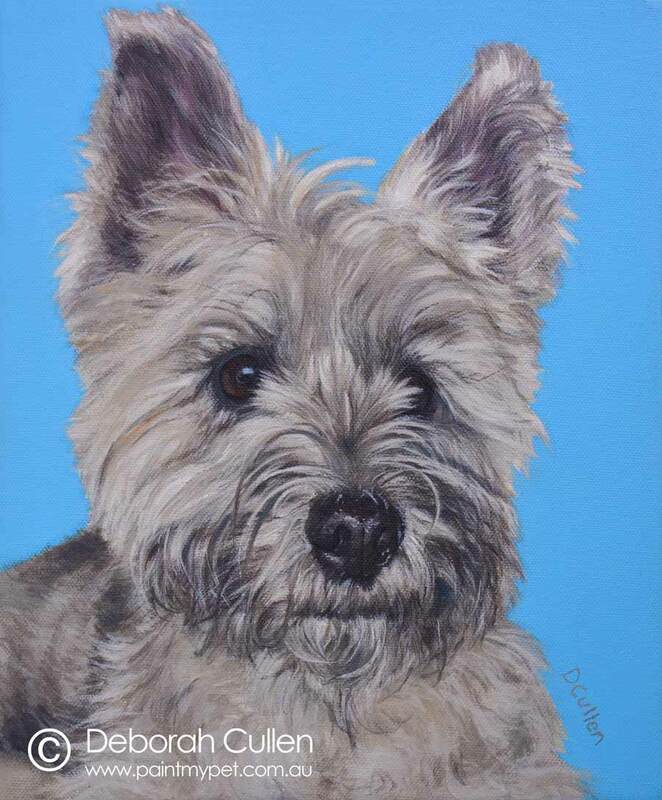 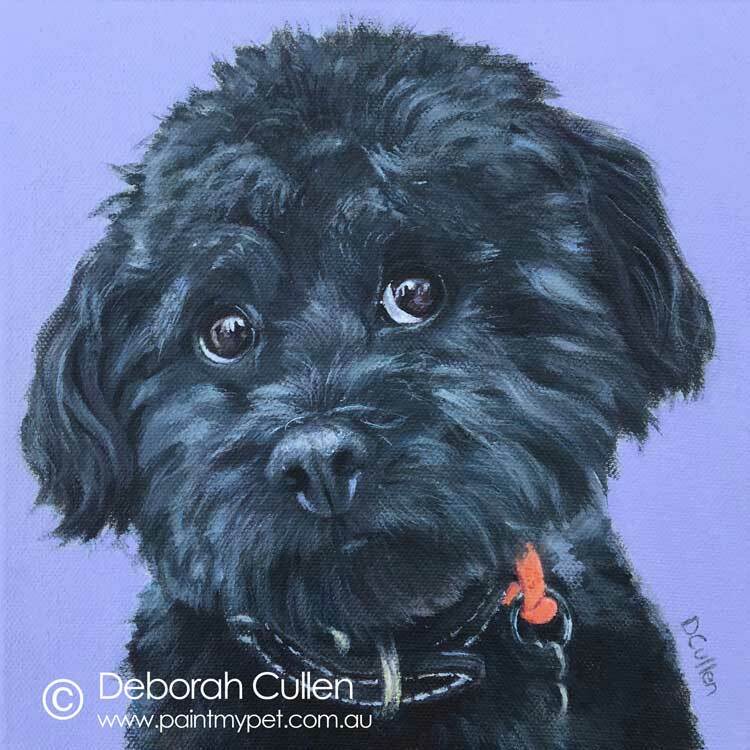 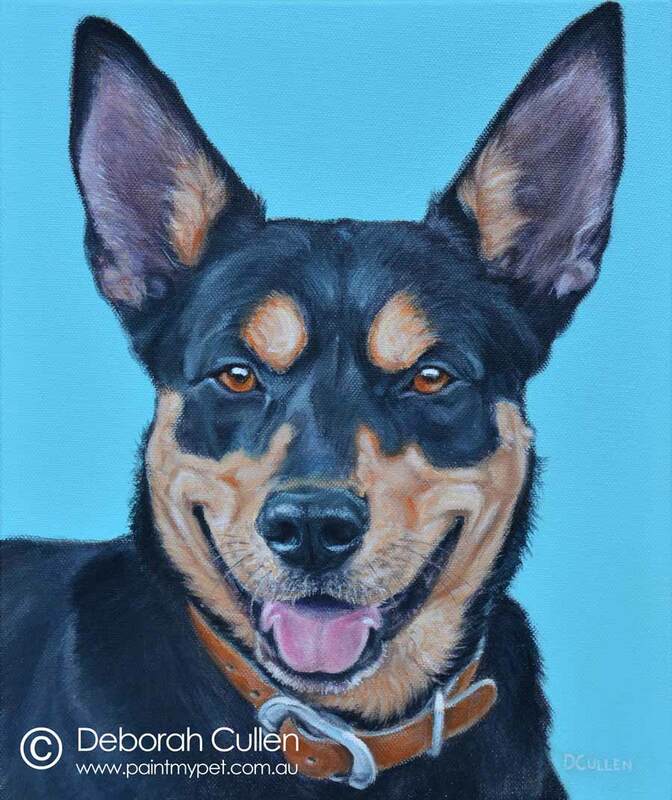 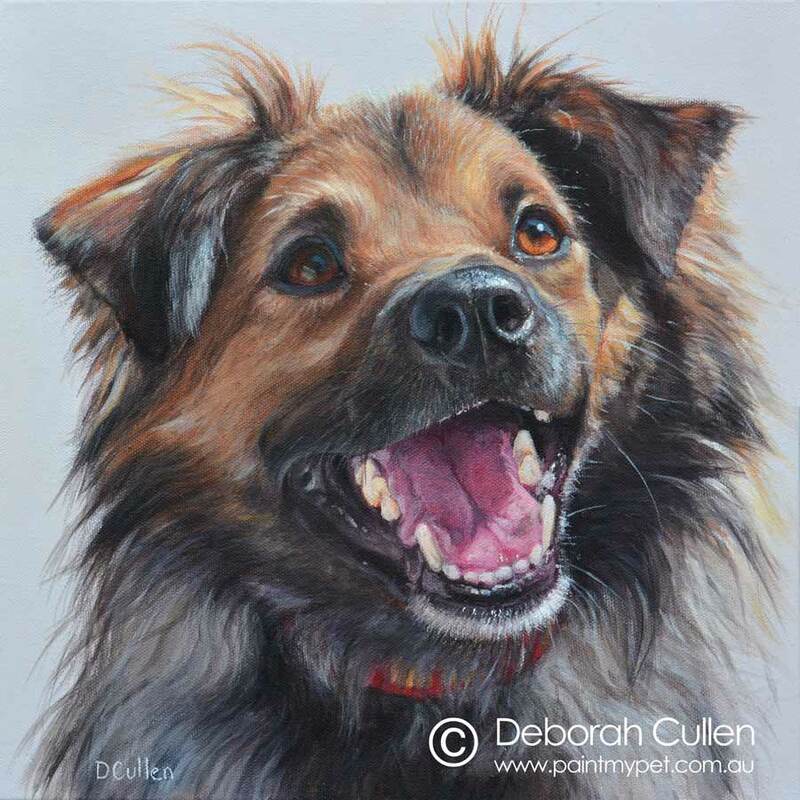 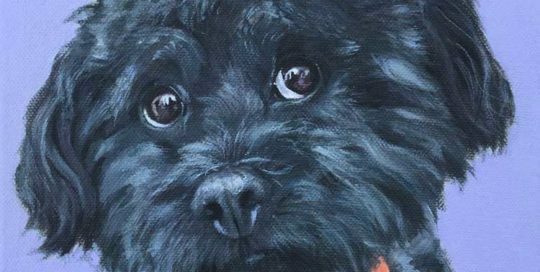 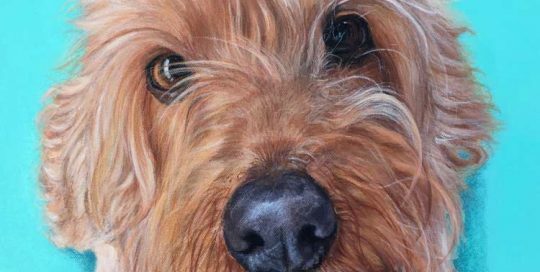 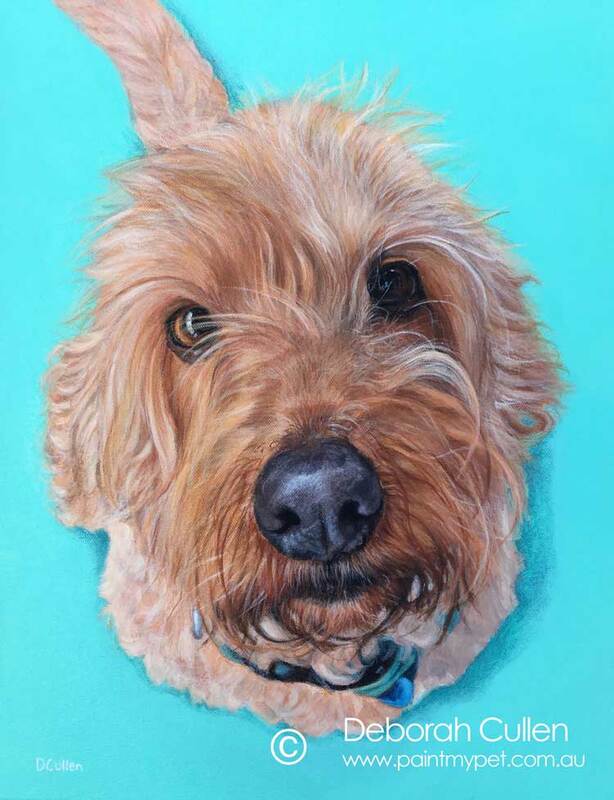 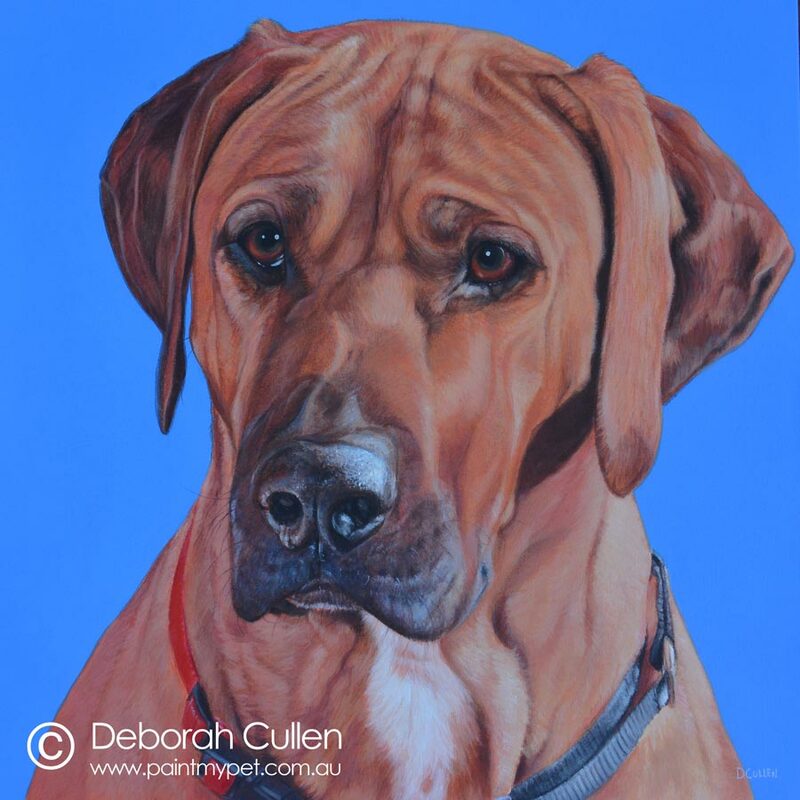 DOG PORTRAIT Maisie, Groodle Acrylic on Canvas, 70cm x 76cm Private Commission, Lea (Mount Eliza VIC) "Maisie is very cuddly and quite sensitive. 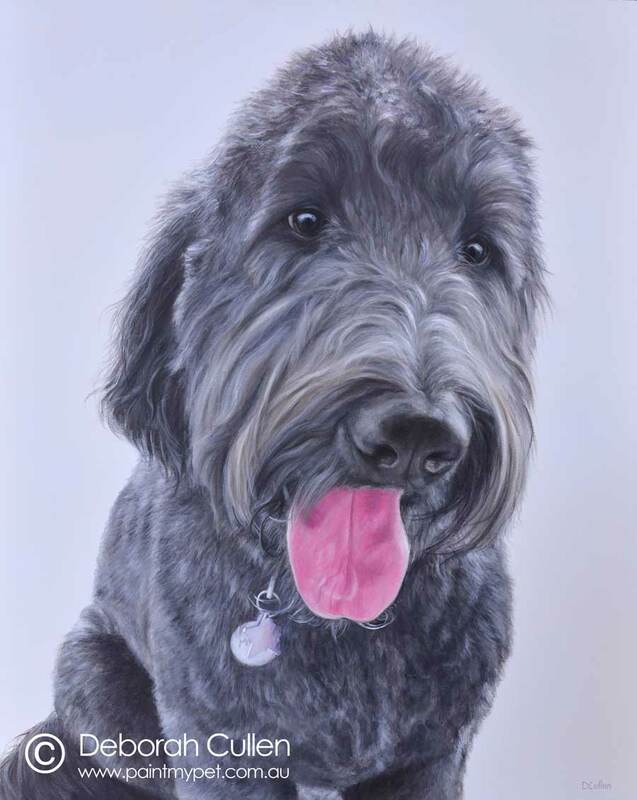 A real girly girl. 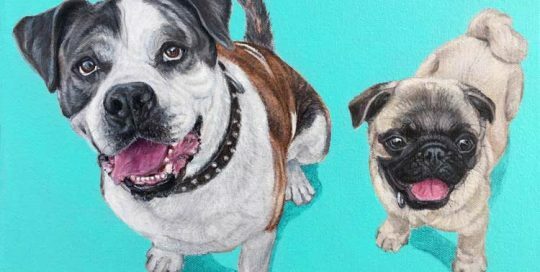 Wants to please but bullies her 'brother' mercilessly and gets him told off for things he didn't do".